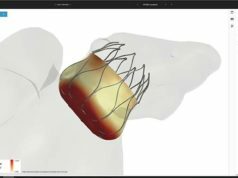 Nanostim has announced the first successful implants of a leadless pacemaker in a series of 11 patients at Homolka Hospital in Prague, Czech Republic. The leadless pacemakers were implanted by Petr Neuzil, head of Cardiology at Homolka Hospital, Prague, and Vivek Reddy, director of Electrophysiology at Mount Sinai Hospital in New York, USA. The patients were enrolled in the company’s LEADLESS Study, which was designed to examine the safety and effectiveness of the first totally self-contained, leadless pacemaker. The study is a prospective, single-arm, multicentre study that is intended to be conducted in up to eight centers in Europe to gather data in support of CE Mark approval. Nanostim’s leadless pacemaker, according to the company, utilises a catheter-based approach through the femoral vein delivering a self-contained leadless pacemaker directly into the heart without the need for a surgical pocket or a lead. The Nanostim approach is designed to improve patient comfort by giving the physician a simplified, less-invasive option, permitting implantation as an outpatient, eliminating the visible lump and scar at a conventional pacemaker’s pectoral implant site, and removing the need for activity restrictions to prevent dislodgement after implantation of a conventional lead. Because this new approach eliminates the surgical pocket and lead, the device has the potential to reduce overall complications, specifically infection and lead failure.